Everyone knows that the smartphones are one of the most popular devices today. Almost every pocket has an Android or iPhone mobile in it. Many people use high-end Android phones as their personal computers too. Users take photos and videos on their smart devices and store them for future use. But sometimes accidentally or intentionally, the videos or pictures get deleted from the Android device. 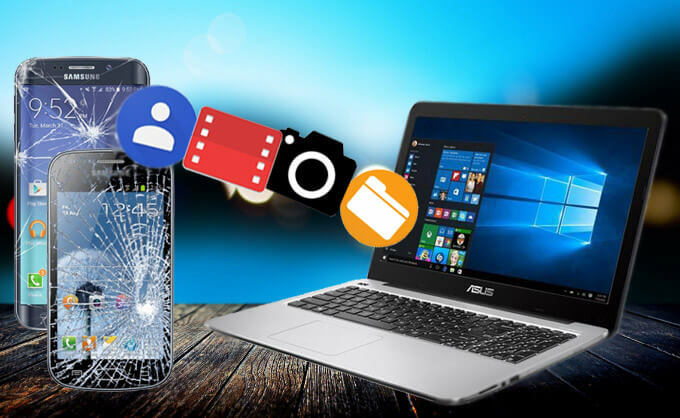 If you are also facing the same problem and want to recover the deleted videos and images from Android, then read ahead. Many of my friends have the same issue of the data loss from their devices, and they asked me for the solution of it. So, I decided to make a guide on it to help users like them. I have a Samsung Galaxy S5 device, so I will use it as a helping tool for writing this tutorial. Let’s get to the methods now. 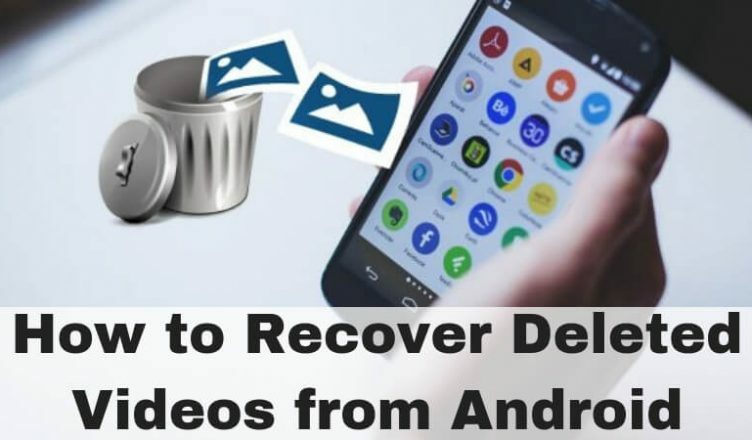 How to Recover Deleted Photos Android With or Without Computer? 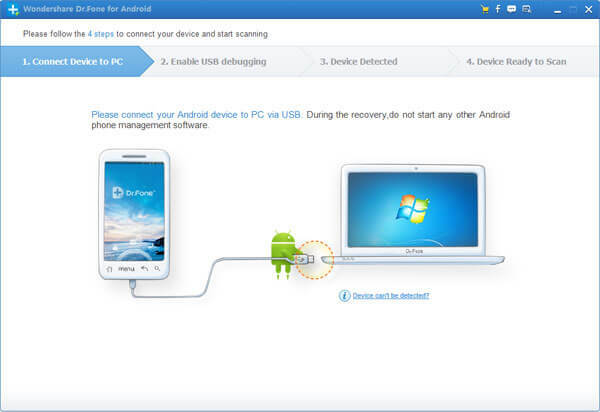 If you want to use your PC for restoring the data on your Android mobile, then you will need to install software on your PC, connect the mobile with the system, and start the recovery process. Let’s see it step-by-step. There are some useful web applications available which can help you to recover your data on the Android phone. 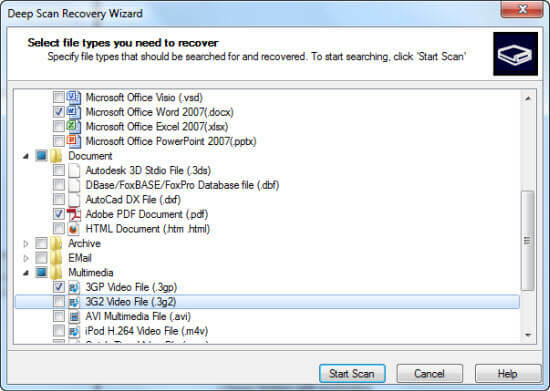 ‘Android Data Recovery’ is one of the top-rated software for the data recovery. So, I recommend you to use the same on your PC. Download the Android Data Recovery software on your computer. Install the software packages. Run the Android Data Recovery software on the computer. Now, with the help of a USB cable, connect your phone with the PC. In a few moments, the software will automatically detect the connected device. When a primary window of the software appears on the screen, you need to select the type of file type (images, video, messages, WhatsApp, contacts, call logs, etc.). You can choose all of them or just mark and Gallery and Videos to restore them. Click on the ‘Next’ button. After the process starts, a pop-up window will appear on your Android device. Tap on the ‘Allow’ button in it to continue the scanning and recovery process. After a few time, the scanning process will be finished. You will see a list of all your deleted videos and other files on the screen. Select the data that you want to get back and click on ‘Recover’ button. Now, wait until all your files get recovered and then enjoy watching them. Note: Dr.fone is also another famous software to recover the deleted data. You can use that app by following the same steps mentioned above. Only some menu options and selection process will change. 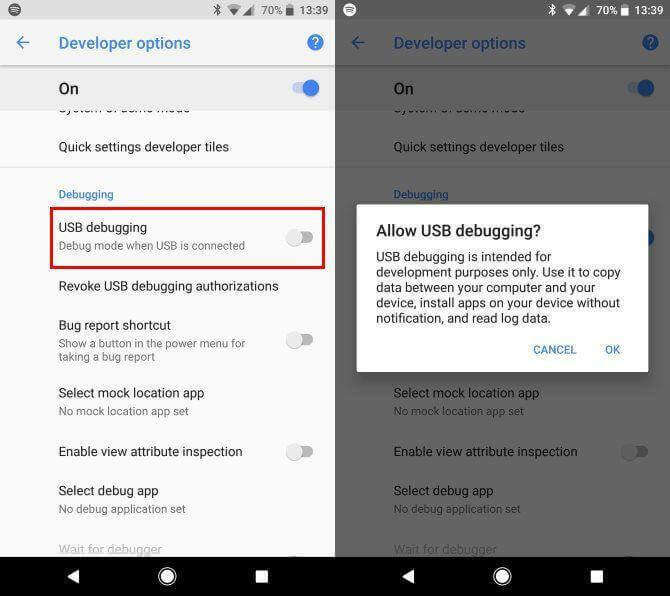 There are several ways by which you can recover the data on Android without a computer. I will explain them here. 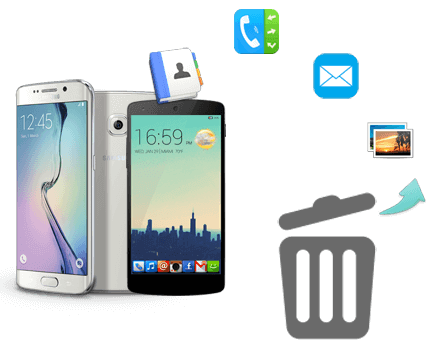 If you have a Samsung Galaxy S5/S6/S7/S8/S9/J2/Note 8 or any other Samsung model that supports cloud services, then you can use this method to recover your deleted data. It is essential to have a backup though. 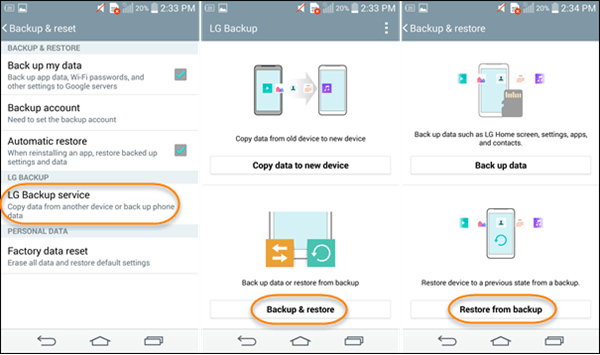 If you have enabled the backup option on your Samsung Galaxy S5 or other Samsung model, then you can quickly get back your deleted data on your phone. Scroll down and select the option of ‘Restore.’ You will see a list of the backed up files on your Samsung Cloud account. From that list, select the ‘Gallery’ and then choose ‘Restore Now’ option to get back your deleted videos and images. Here, you will see the deleted images. Select the pictures you need and restore them on your phone. If you have synchronized your Android phone’s gallery with the Google account, then you can easily get back your deleted photos and videos from Google Photos within 60 days. Wait for some time until all your selected images or videos get retrieved on your device. You can take help of the third party application like ‘EaseUS’ to recover data on your Android device. 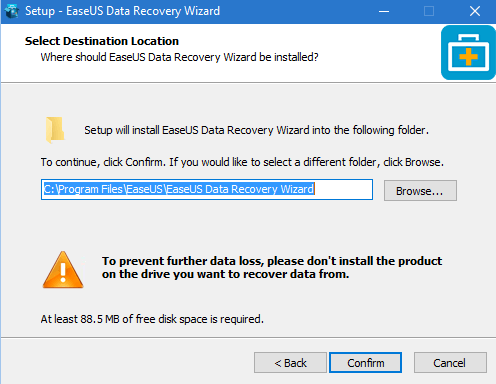 The EaseUS has a dedicated Android recovery application to help you retrieve your accidentally deleted data. Go to Google PlayStore on your Android mobile. Search and download ‘EaseUS MobiSaver’ application. Now, open the app in your device. Click on ‘Start Scan’ button. The application will now scan the deleted data on your phone. As the scanning progresses, you will see the list of the lost data on display. You can choose to recover some particular types of files by setting the preferences from the menu. After the process is done, select the deleted videos and images that you want to retrieve and then tap on the ‘Recover’ button. With the EaseUS MobiSaver, you can also retrieve your lost messages, contacts, and other file types on your Android mobile. All are the methods above are tested and worked correctly with my Samsung Galaxy S5 mobile. I recommend taking the timely backup of your favorite images, videos, and other important data stored on your Android phone. You can use a good-quality memory card and also the external hard drive to take the backup. It is not necessary that you always can get back all your lost data once you accidentally or intentionally delete them. So, it is good to have a backup. Note: All the tricks and tips mentioned in the above article have experimented on an Android device. Trendy Android is not responsible for any data loss or damage to your mobile’s software/hardware when you apply these methods on it as the user settings, and data loss situations can be different from device to device.